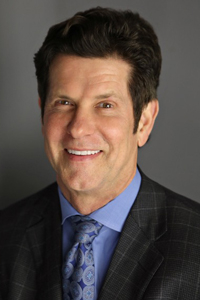 Dr. David R. Stepens is a board-certified plastic surgeon and has been based in Bellevue, Washington since 1998. He has been recognized nationally for his role in the introduction and advancement of endoscopic surgery of the breast and the face. He continues to use these techniques in hidden-incision breast enhancement, the TEAM procedure, as well as endoscopic-assisted minimum-incision browlift. His research also led to the implementation of minimum incision techniques in mini-abdominoplasty and other areas of plastic surgery. These advances have forever changed the nature of plastic surgery from larger, exposed, and potentially cosmetically unsightly and uncomfortable incisions to small-incision, lesser-invasive techniques. 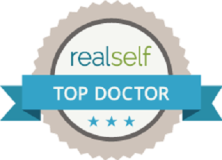 Recognized as one of the Northwest’s top plastic surgeons, Dr. Stephens has been voted multiple times as one of Seattle’s Top Plastic Surgeons by Seattle Magazine, and one of King 5’s “Top Western Washington Plastic Surgeons.” In addition, Dr. Stephens has made the list of Best Plastic Surgeons in 425 Magazine for 2016, 2017, and 2018, as well as noted as one of the top plastic surgeons in “Who’s Who” for physicians and surgeons nationwide. Various national publications have also named him as one of the nation’s top doctors. Dr. Stepens was recently recognized as an IDEAL IMPLANT Preferred Surgeon due to his extensive expertise working with IDEAL IMPLANT® Structured Breast Implants, the latest technology in breast augmentation. With a unique structure surrounding these saline-filled implants, women can achieve beautiful results with zero risk of silent rupture. Dr. Stepens uses the IDEAL IMPLANT to help women look and feel their best. With the IDEAL IMPLANT, no expensive MRIs are needed, and they come with a lower risk of both capsule contracture and ruptures when compared to other implants. "I couldn’t be happier with my results!" "He gave me my life back!" "Highly recommend him to anyone!" – Google Review from Tiffany W.
"Dr Stephens is a fantastic!" "Truly a master of his art!" "Professional, kind, knowledgeable, comforting and delivers amazing results!"